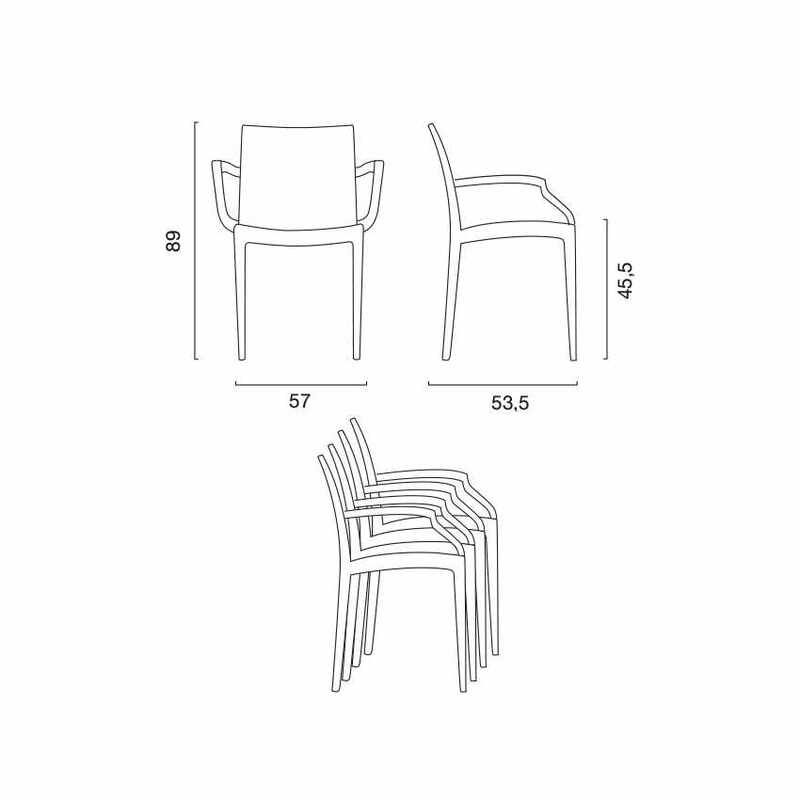 Special offer: stock of 20 chairs. 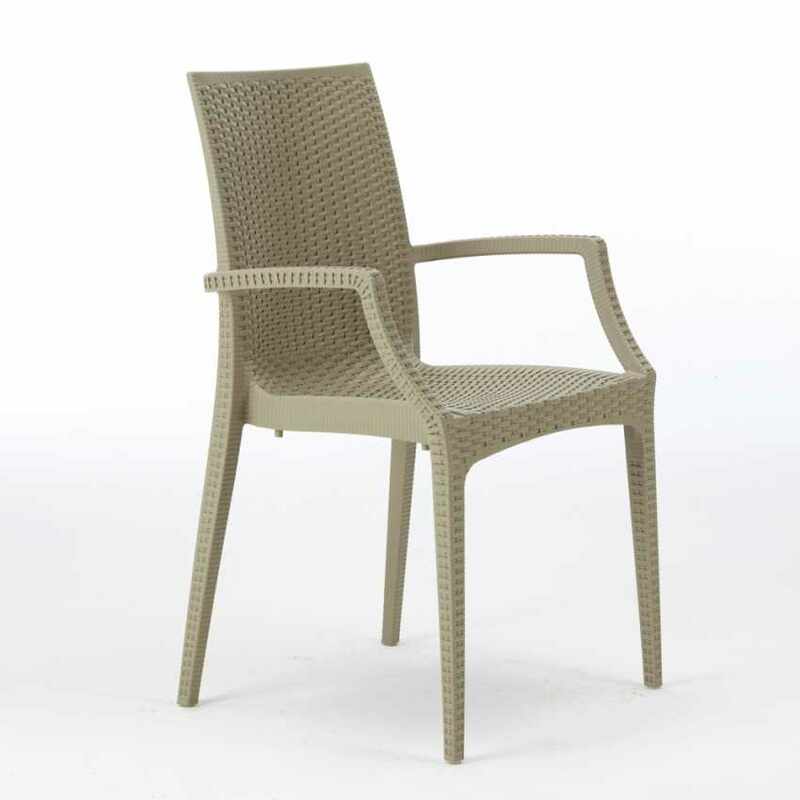 Outdoor design chair with armrests in quality synthetic polyrattan for restaurants, resorts, coffee houses, hotels and for the exteriors of your house. Weather proof, stackable and with an elegant design. 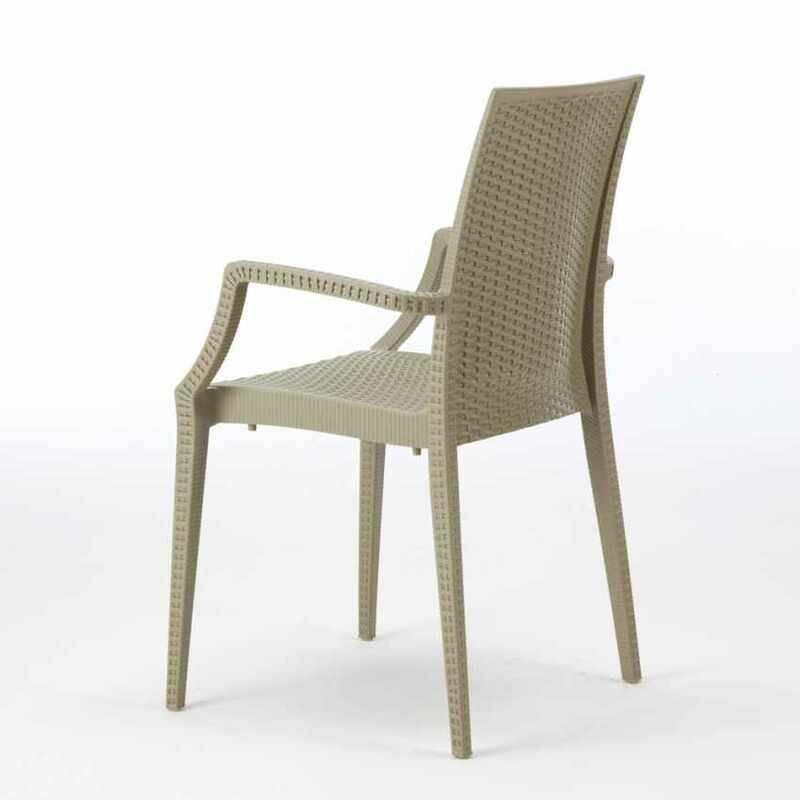 The Bistrot Arm is the armrests variation of our most successful Bistrot by Grand Soleil, a garden and outdoor chair made in high quality synthetic resin and officially certified for professional use in light of its extreme durability. 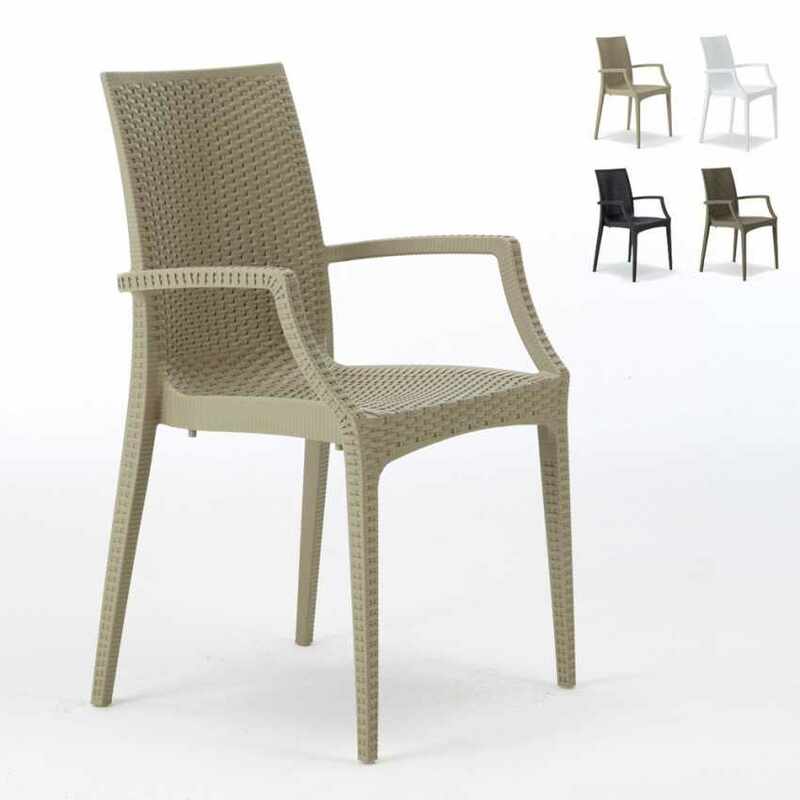 Indeed, being water proof, UV and weather resistant, this chair is meant to last over time even when left out or when placed in busy environments under heavy usage. Also stackable to save room and easy and light to carry, the Bistrot Arm is a perfectly suited piece of furniture for all kind of venues, from restaurants to resorts. Practical, durable and with a classy outlook, it will add style also to private gardens and house exteriors. This product is 100% designed and Made in Italy using highly advanced materials, and you can see it by how finely crafted is the woven pattern and how strong is the inner core. Are you in a hurry to have your product? Unlike many other websites that sell products without actually keeping a stock, we have everything already available and ready to ship, even in large quantities. In this way we can deliver in 1 to 3 working days. I got 20 a year ago. They're still perfect I am buying more as I expanded next door. Love them in my garden!